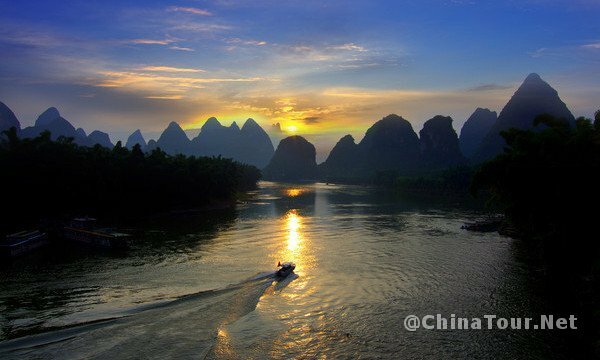 The 83-km-long waterway from Guilin to Yangshuo is like an artists’s masterpiece. 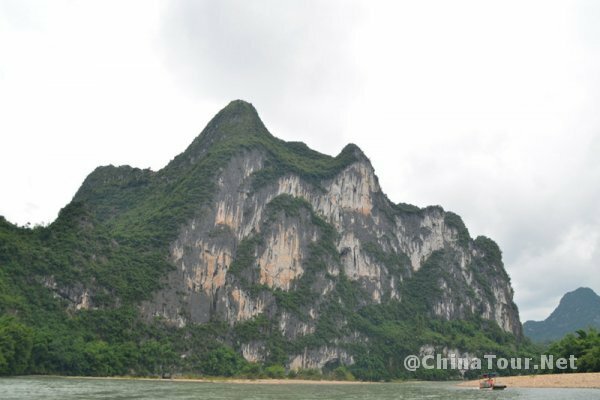 The landscape is decorated with rolling hills, steep cliffs, fantastic caves, leisurely boats and is lined with bamboo. 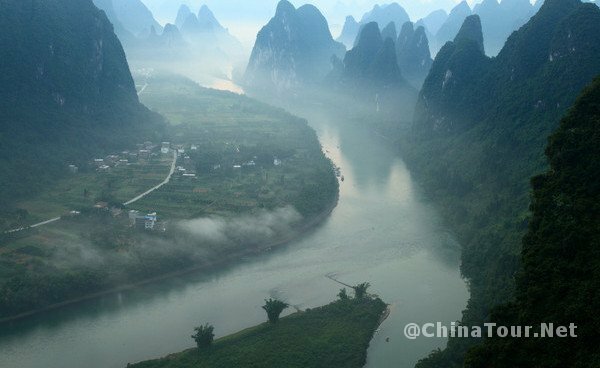 A poem says: “The river is a green silk ribbon, and the hills are jade hair-pins”. Along the cruise, there is an attraction called Huangbutan, literally means Yellow Cloth Shoal. There is a yellow stone slate under the water. This is where its name come from. 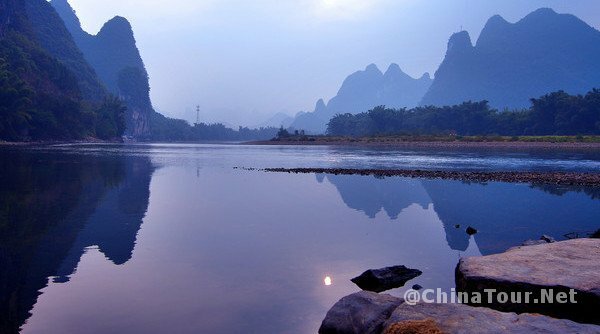 The water reflect the mountain and the sky, forming a picturesque scenery. Mostly the cruise starts from Mopanshan and Zhujiang Wharf. 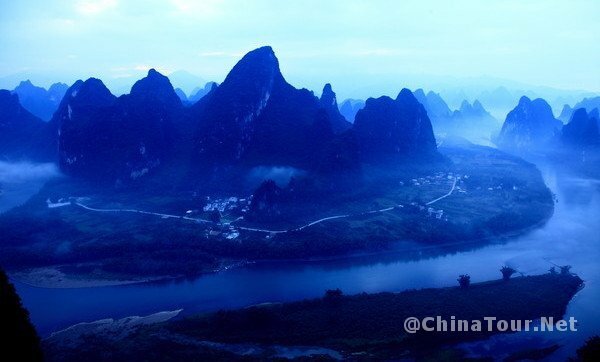 It is about 40 minutes drive from Guilin city. 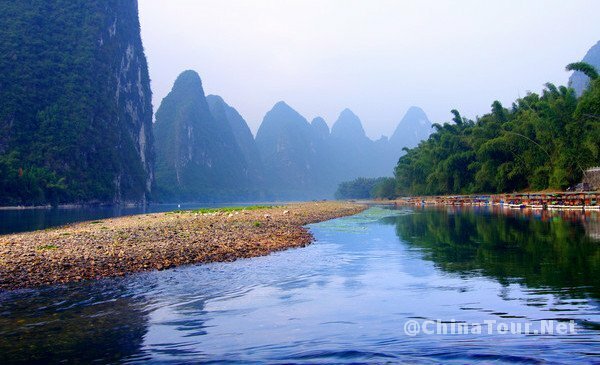 and then 4 to 5 hours cruise will take you to a beautiful and sedate ancient city – Yangshuo. Usually the 3-star cruise starts from Mopanshan pier and the 4-star cruise starts from Zhujiang pier. Various ways are available to appreciate the beauty of it.